Apply online application to RPF Constable Online Form 2018 8619 Constable Male / Female. 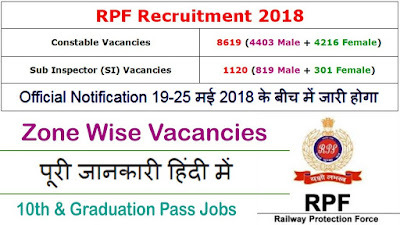 Railway Protection Force (RPF) Recruitment Board, latest notification for Constable Male / Female. Applicants can get full advertisement below and submit the RPF online application at constable1.rpfonlinereg.org. Applicants who are going to apply, ensure that you are eligible for post of Constable Male / Female. The applicants will have to apply online, no other option. The last date of submitting online application is 07.09.2015. RPF notification further information such as eligibility criteria, syllabus and how to apply etc. listed below. Payment of application fee can made through Debit Card, Credit Card, Net Banking, and E Challan Only. 1. If you have Previously Apply RPF Women Constable Recruitment 2016 Are Required to Re Registered with Fresh Vacancy. 2. Kindly Use Re Registered Option and Do Know Apply as a Fresh Candidates. 5. Instruction For Refund: Candidates Who Pay Application Fee Rs.500/- Are Refunded Rs.400/- After Appeared the CBT Exam and Candidates Who Pay Fee Rs.250/- Are Refunded Rs.150/- After the Appeared the CBT Examination. How to apply: Eligible applicant require to apply online through RPF Constable Online Form 2018 website constable1.rpfonlinereg.org from 01.06.2018. 1. Log on to the Railway Protection Force (RPF) website constable1.rpfonlinereg.org. 6. Make the payment by Debit Card, Credit Card, Net Banking, and E Challan Only. Applicants have great chance to get jobs Railway Protection Force (RPF) Recruitment, however if someone want to ask anything please comment below. Apply online application to RPF SI Online Form 2018 1120 Sub Inspector SI. Railway Protection Force (RPF) Recruitment Board, latest notification for Sub Inspector SI. Applicants can get full advertisement below and submit the RPF online application at constable1.rpfonlinereg.org. Applicants who are going to apply, ensure that you are eligible for post of Sub Inspector SI. The applicants will have to apply online, no other option. The last date of submitting online application is 07.09.2015. RPF notification further information such as eligibility criteria, syllabus and how to apply etc. listed below. 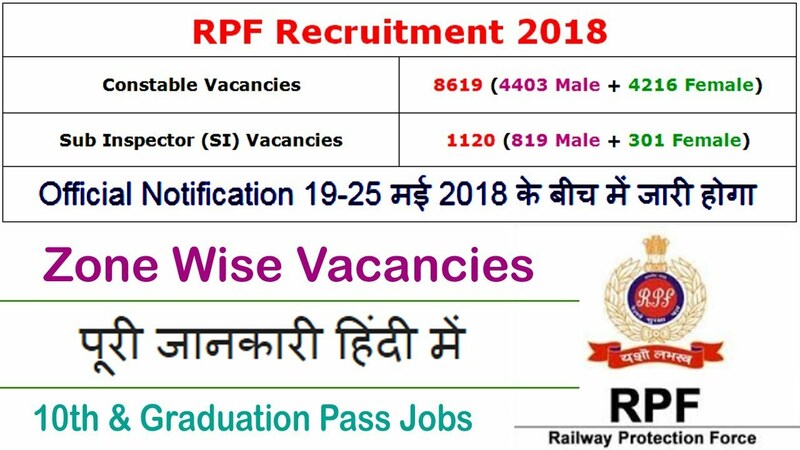 How to apply: Eligible applicant require to apply online through RPF SI Online Form 2018 website constable1.rpfonlinereg.org from 01.06.2018.